A`oodhu billahi min ash-Shaytani 'r-rajeem. Bismillahi 'r-Rahmani 'r-Raheem. As-salaamu `alaykum wa rahmatullahi wa barakaatuh!  Bismillahi 'r-Rahmani 'r-Raheem. Alhamdullahi Rabbi 'l-`alameen, was-salaatu was-salaamu `ala Sayyidi 'l-Awwaleen wa’l-Akhireen. Alhamdulillahi 'l-ladhee hadaana lil Islami wama kunna linahtadeea lawla `an hadanallah alhamdulillahi`ala li`ameehi zaheeran wa baatinah. .....alhamdulillah `ala niaami...was-salaatu was-salaamu `ala bashar. O respected brothers and sisters, respected sons and daughters, I have the great honor to have been invited by our host, Datuk Salman Younes, and we have to pray for him that Allah (swt) gives him happiness in dunya and Akhirah. He is generous, because generosity is coming from "al-Kareem," (The Most Generous) and from the manifestation of that Beautiful Name, Allah gives support in many different ways, helping schools, helping mosques, or whatever. And I don't know where to begin, but before I begin I will mention something small that happened to me recently. We are in a modern country and a very hospitable country, Malaysia, and every year I am coming here. Two years ago, my shaykh, may Allah give him long life to spread his teaching east and west, he told me, "I like you to go to Africa, the middle, West Africa, East Africa," and to South Africa, we went long time ago. And I was thinking, what am I going to do in Africa? I was wondering, I have too many things to do and this other order comes on top. When shaykh says something there is wisdom in it and the ego will try to encounter it and break it. If you lose something from yourself it is from the human complexity that is your ego and you want to do it. But when it comes from the master, from mashaykh, you will find tons of excuses not to do it! It is very difficult to say someone, "Do this," (as they won't do it). That is why Grandshaykh, may Allah bless his soul, used to say, "I have two students, but lots of followers; one is Nazim Effendi and the other is Husayn Effendi." It means Mawlana Shaykh Nazim and another Mawlana, Shaykh Hussayn who passed away (recently). Grandshaykh (q) said, "When I give an order they can fulfill it but others cannot, especially when a heavy order comes. But when I say to these two, 'Give,' they give everything they have." So he said, "I like you to go to Africa and take this picture, and find me this shaykh. I am interested in that one." I asked, "How did you get that picture?" He said, "I don't know, they were on my desk." So he passed it to me. So you know the ego works (against us) a lot, so I gave it to someone who lives in Ghana. Where are you going to find a ring in a desert? I was postponing it. He came and after six months he said, "I cannot find it, no such person exists." So I went to Mawlana after six months and he said, "Did you go?" I said, "No. They looked, but did not find." So I went to Ghana and the whole community and shaykhs came to meet me, but I did not see that one in the photo. They received me at the airport when I went to Ivory Coast and came back. And when I returned, I saw that one at the airport looking me in the face, and he said, "I was waiting for you." I said, "How did you find me?" He said, "I saw Shaykh Nazim in a dream saying, 'My son-in-law is coming, go meet him.'" So how did he know the time, when I would be there? He invited me to his mosque, so I went the next day and he said, "I want you to come with me, I want to show you my school." We went in a narrow road, it is only alleys and in the middle of the alley is a small ditch of open sewage all the way between the houses until reaching the school. You can see and smell everything. You can see the worms inside and all the dangerous animals swimming in that water! We reached that school and I can tell you a stable for animals is better than that school, a very primitive building made out of sugar cane and sticks, with a tin roof. The classes are ten classes from grades 1 to 10, and boys and girls are separated. I looked at the blackboard and saw all the classes are Islamic studies, for 250 students, all orphans, no father, no mother. That shaykh is sponsoring all of them. Their clothes were worn out, such that you feel shy to give these clothes to someone. That is the kind of life they are living, and yet they are so happy and grateful for what Allah (swt) has provided! Now let us go back to Allah's generosity. Allah (swt) has no limits. He is the Creator of generosity! And I will quote a hadith of Prophet (s), that he asked his Sahaabah (r), and we have a scholar here, I am not saying I am a scholar, I am not even an ant. He (s) said to his Sahaabah (r), man al-muflis, "Who is bankrupt?" They said, "The one who has no money?” And Prophet (s) said, laa, man la `amal lah, "No, it is the one that has no `amal." They said, "Yaa RasoolAllah! wa law salla wa saam? Even if he prays and fasts?" Prophet (s) said, "Even if he prays and fasts, he might not have any good deeds.” That is dangerous! This is transmitted by Bukhari and Muslim. When you read that hadith you will be frightened. I was thinking when I was sitting here, what Mawlana shaykh will send to me to speak, so I brought Grandshaykh's notebook. But he directed me to speak about this issue. I will explain about what Prophet (s) asked, "Who is bankrupt?" Everyone knows the one who has no wealth, immediately their minds went to money, thinking who is poor. This is not about money, but we are thinking only about dunya, not akhirah; then the meaning changes. Maa zaala `abdee yataqaraba ilayya bi 'n-nawaafil hatta uhibah. Fa idhaa ahbabtahu kuntu sama`ulladhee yasma`u bihi wa basarahulladhee yubsiru bihi, wa yadahulladhee yubtishu bihaa wa lisanahulladhee yatakallama bih. My servant does not cease to approach Me through voluntary worship until I will love him. When I love him, I will become the ears with which he hears, the eyes with which he sees, the hand with which he acts, and the tongue with which he speaks. And it is said by Imam Nawawi that Prophet (s) saw Allah (swt) with the eyes of his head. It is explained in a small book by Imam an-Nawawi. It means Prophet (s) wants all of us to see what he saw, and to understand poverty is not about money. Today people are running for money, but there are people to whom Allah is giving piety and sincerity, and there are many who work for both akhirah and dunya. Rabbana 'aatina fid-dunya hasanahtan wa fil ‘akhiraati hasanahtan wa qina ‘adhaban-naar. Rabbana 'aatina fid-dunya, "Give us in dunya, al-khayr, the good." Al-khayr means, "Give us happiness, and wealth, and give us piety and sincerity and in Akhirah the same." But awliyaaullah add to that, Rabbana atina....hasanah (one hasanah). What do you think is the meaning here of hasanah? A part, one wa fil 'Akhiraati. In Akhirah there are an infinite number of hasanaat. So why hasanah? When you look into it, there is a deep meaning. When you look, who is hasanah from human beings? Who is al-Qasim? Who is al-Mahi? As mentioned in the hadeeth, who is TaHa wa YaSeen? So Rabbana atina fid-dunya hasanatan means, "Give us in dunya Muhammad (s)! That is the hasanah! Awliyaaullah test their goal to be with Prophet (s) in every moment. That is the biggest hasanah that Allah gives them, the presence of His Prophet (s)! That someone comes in the street in Arab countries, raises his hand and wants money saying, "hasanah, hasanah!" ...Some don't give a penny despite their excess wealth. Prophet (s) is the Chosen One. Allah (swt) raised him to qaaba qawsayni. Whatever others want to say about its meaning, we say Prophet (s) went to qaaba qawsayni, "within two bows' length," not further than that. It means he was so near, the nearest. He did not say he stopped, he said aw adna, or less! It means Prophet (s) reached the Divine Presence when no one was able to reach so near, as mentioned in Holy Qur'an. You have to be very careful with the words you choose. So who is very near to Allah (swt) is the hasanah. So when a wali looks at the meaning of, "Yaa Rabbee, grant me to be near that one who exemplifies that hasanah," Allah grants them characters from the personality of Sayyidina Muhammad (s). (Mawlana stands and recites salawaat.) Wa fi 'l-akhirati hasanatan. What is the best hasanah in akhirah? Of course, to be with Prophet (s) is the best hasanah! The opposite is to be far from Prophet (s). But Prophet (s) said, "If you want to be far from me, you have no `amal." How no `amal when you are praying and fasting? Because the one praying is saying shahadah; the five pillars are there; for fasting he is stopping from work, so making sadaqah; he is facing Ka`batullah, so that is Hajj. So the five pillars of Islam are within the salaat but Prophet said, "Even if he fasts and prays, he has no `amal." Why does he have no `amal? Because he lost his `amal; you pray from here and you do something wrong from there. And what is worse, you do against the rights of people! Allah says, "If you make a mistake and repent you will be forgiven." Is it not? "(O Muhammad!) Say to them, 'Don't loose hope from the mercy of Allah.'" But when it belongs to His servant, between the servant, that is the disaster, because on the Day of Judgment you will have to ask to be forgiven by your brother whom you have backbitten. Allah will take his right and give it to that one who oppressed him and He will bring in front of him the oppressor and the oppressed, azh-zhaalim wa 'l-mazhloom. And He will ask, "Are you satisfied?" He will say, "No, I want more." So Allah will take and give until it is finished. "He did big damage to me, my life, my family, everything, he did the worst to me and he never apologized." And the one who apologizes first is the winner, even he is going into the hidden order of the shaykh; we did not explain that yet! The one who apologizes, even if you are not mistaken, even if you told the complete truth, but to show better humbleness you apologize, you are the winner, you are better than the other person. What is the benefit? On the Day of Judgment. I don't want my right in dunya, I want it in akhirah. The mazhloom wants it in akhirah. So everything is finished and the oppressor's rights are gone. He takes the sayiaat and puts them on the oppressed and then Allah will judge the oppressor. Prophet (s) said, "Don't lose your `amal." We have to follow what Prophet (s) mentioned in this particular hadith. So why do we want to lose our `amal by backbiting or spreading nameemah or fitna? Fitna never ends; it eats the `amal. So keep nice with people, then you will be safe. This is the meaning of that hadith but awliyaullah have more wisdom, more meanings. Let's go to the other meaning,that mukhlis is the one with no wealth (bankrupt). What is the meaning of wealth to Allah and His Prophet, dunya or akhirah? Akhirah. What is the wealth that you are losing in dunya? What did Prophet (s) say? "No, the one that is poor is not poor from wealth, it is the one that has no `amal." What kind of `amal? When you pray and you fast, okay, what will happen at the end if you pray and fast? You go to Paradise. How many paradises there are? There are an infinite number of paradises! Go to the first one, no problem, go to the second, third, fourth, in every paradise, and we know of seven, but there are an infinite number of paradises. If we say Allah has only seven paradises, astaghfirullah, we are saying Allah is poor. Haasha! Only seven? Seven in the understanding of human beings, because they like numbers, but it might be the first Paradise has (contains) billions of paradises! How stupid we are when we make tafseer! Like look in the galaxies, there are 80 billion stars. In our galaxy we have 80 billion. In one Paradise we cannot have 80 billion paradises? 80 billion stars in one galaxy and they found there are six-thousand galaxies at least, and in every galaxy 80 billion and more stars. A paradise cannot have trillions of paradises within it? You open one, it goes to a bigger one; you open another, one it goes to another bigger one, and it never ends. So nevermind, if you like the first Paradise, go. But you will not get the highest one, the other levels. So if you want other levels then you must have `amal. What is your `amal? It is not backbiting here; that is for normal people. For awliyaullah, no backbiting for them ever, as the one who cannot enter the understanding of the meanings of Allah's Names and Attributes, is the one has no `amal--even if he prays and fasts! . .... that water is the Water of Life. Every letter must have a fountain of lively meaning and universes that have meanings embedded within the letters of Holy Qur'an. The Holy Qur'an is not as you read it. No one can translate, so how to translate an ocean in a letter? It might be people say if you enter an ocean in letter? I will give you an example: bring a 5-year-old child with a DS (game). What happened when he finishes? He opens another gate and another gate. So if that small chip is able to carry 100 games, what you think about the chip Allah has put in your head?